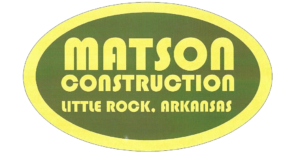 ﻿ Refund/Shipping Policy – Matson Inc.
Matson Inc. follows standards and policies set by the Construction Industry. These policies are standard to all construction companies. Refund Policy:We issue a full refund to our customers in the case an error in billing, or may credit the account if there will be more invoices coming in the future. Shipping Policy: As we do not ship products directly to a customer Matson Inc. does not have an official shipping policy, but will work diligently with clients and contractors to ensure that all products and services are delivered on time.